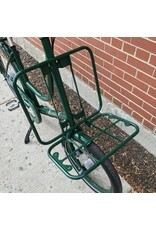 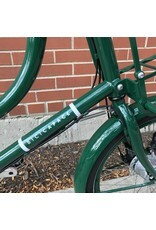 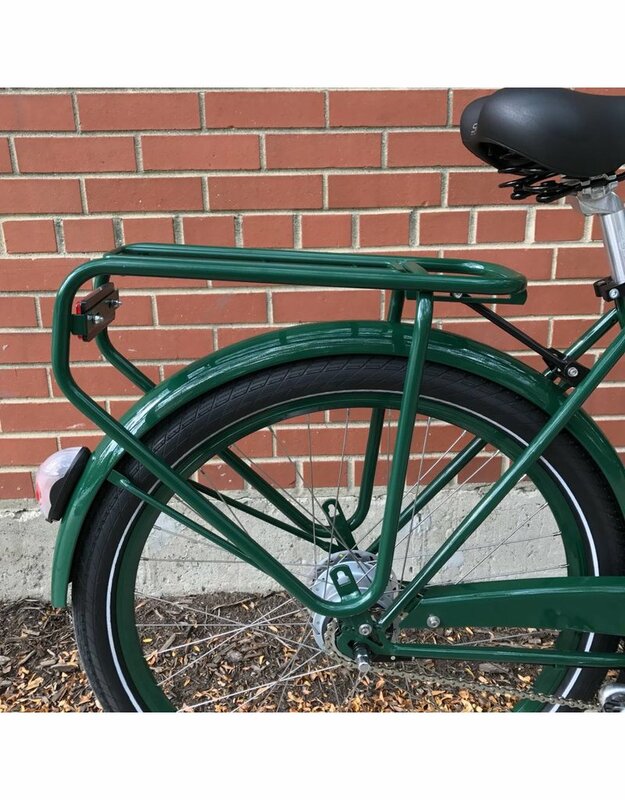 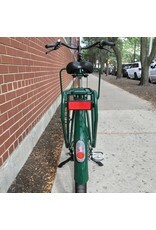 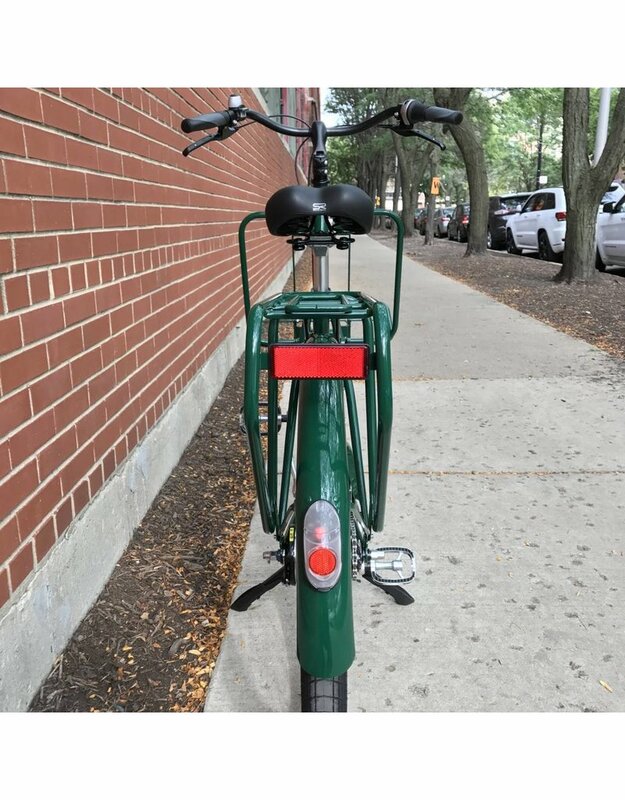 Bicicapace Classic Racing Green 8 Speed - J.C. Lind Bike Co. 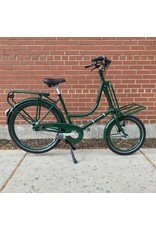 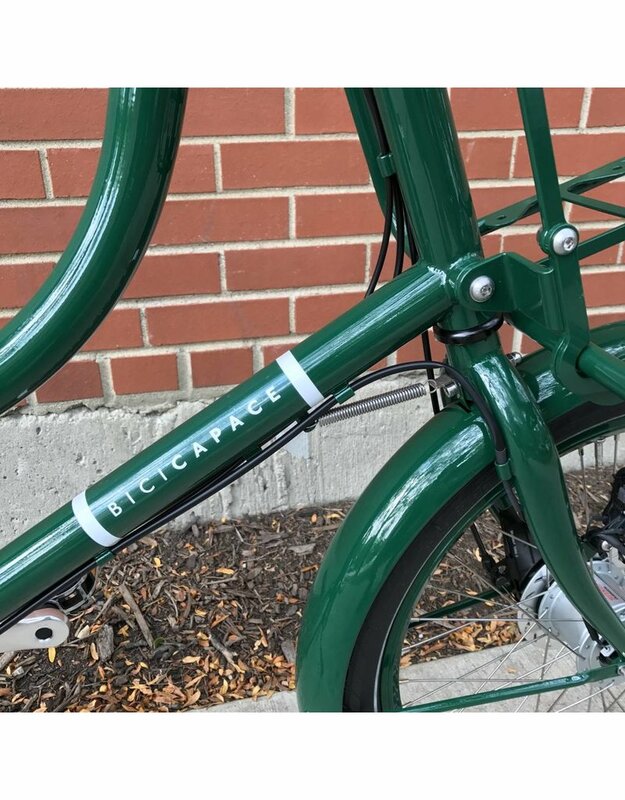 The Bicicapace Classic is a unique, compact Italian bike for city commuting and carrying moderate cargo. 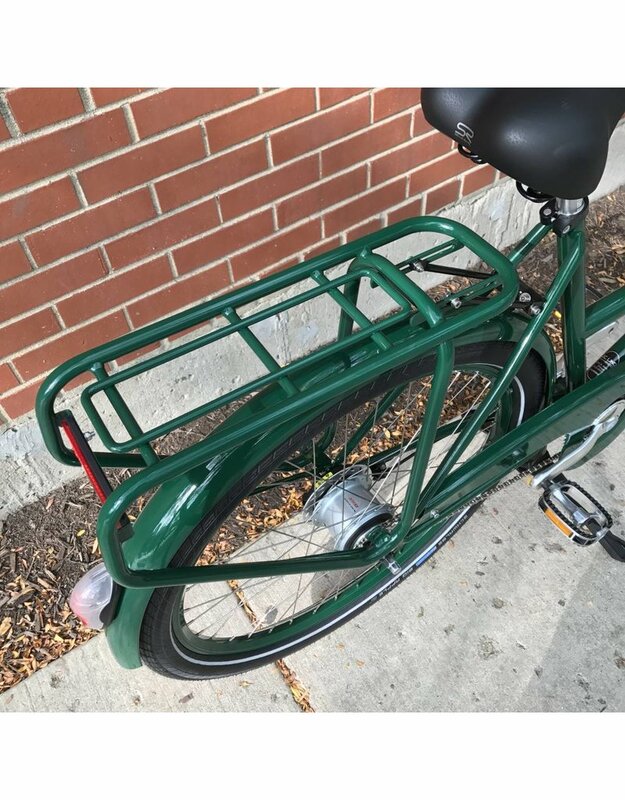 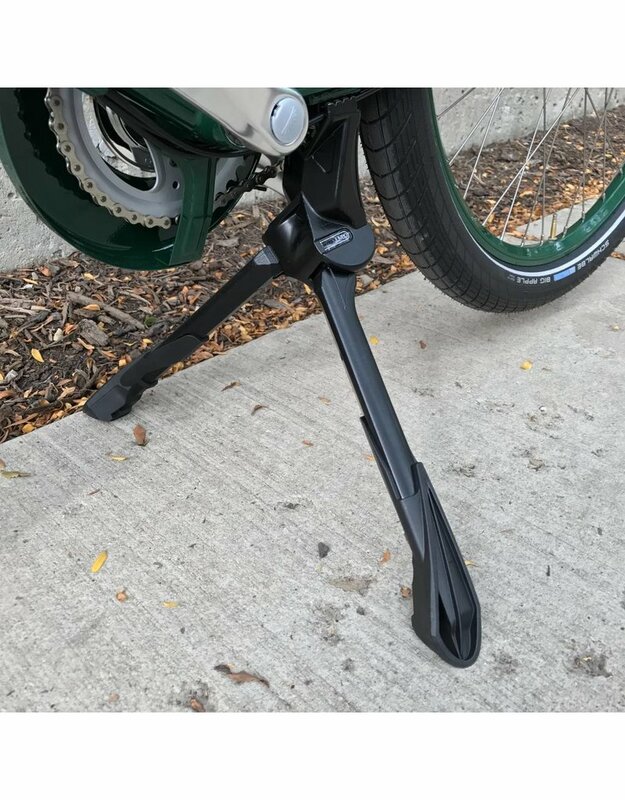 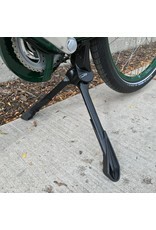 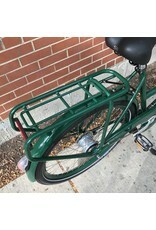 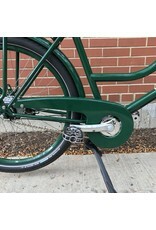 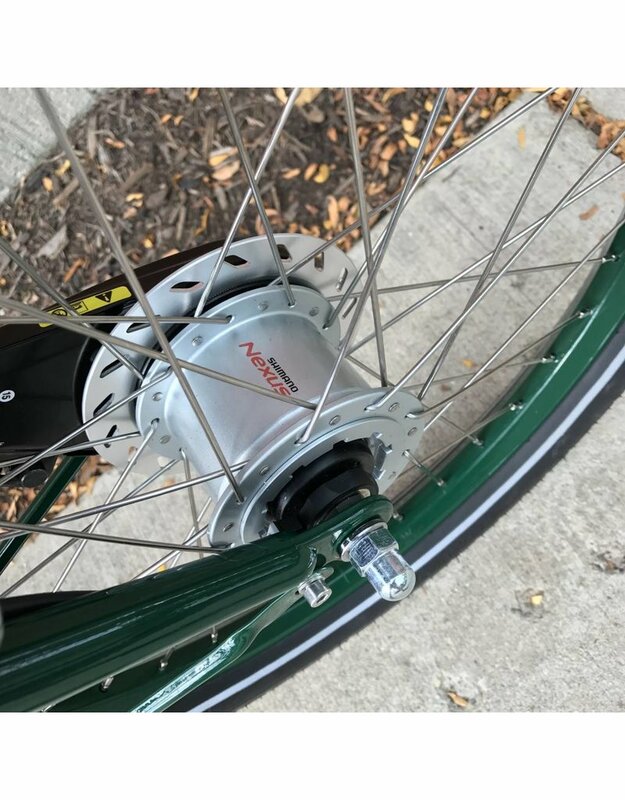 Its unusual step-through frame design has enormous benefits, such as keeping its center of gravity low, even when laden with cargo, not to mention the ease of getting on and off the bike (which can be made more difficult with a loaded bike). 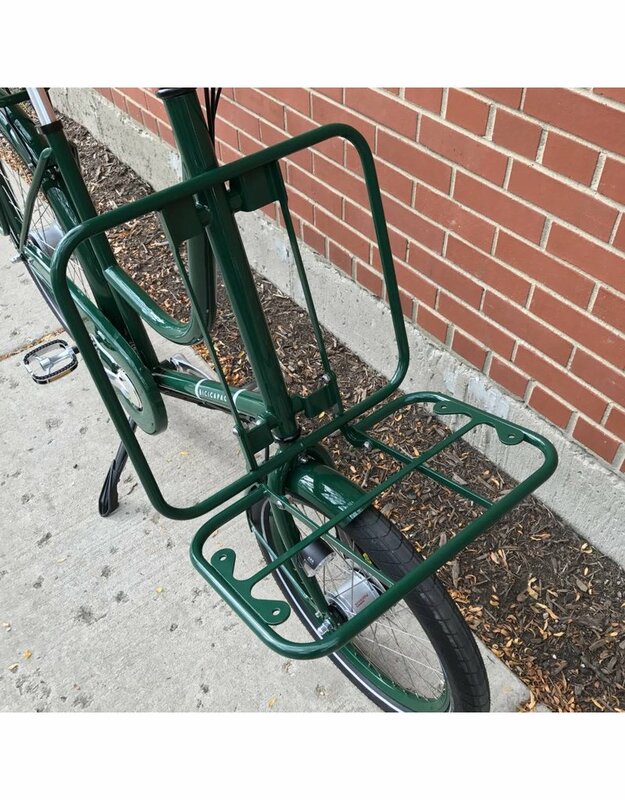 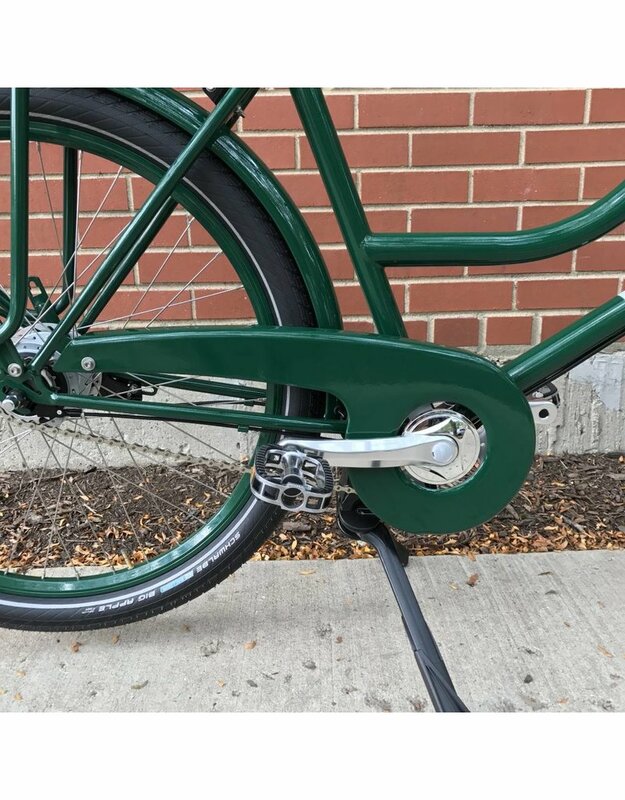 While still maintaining an upright, comfortable riding position, its geometry makes it more agile, shorter (front to back), and lower to the ground than most Dutch bikes. 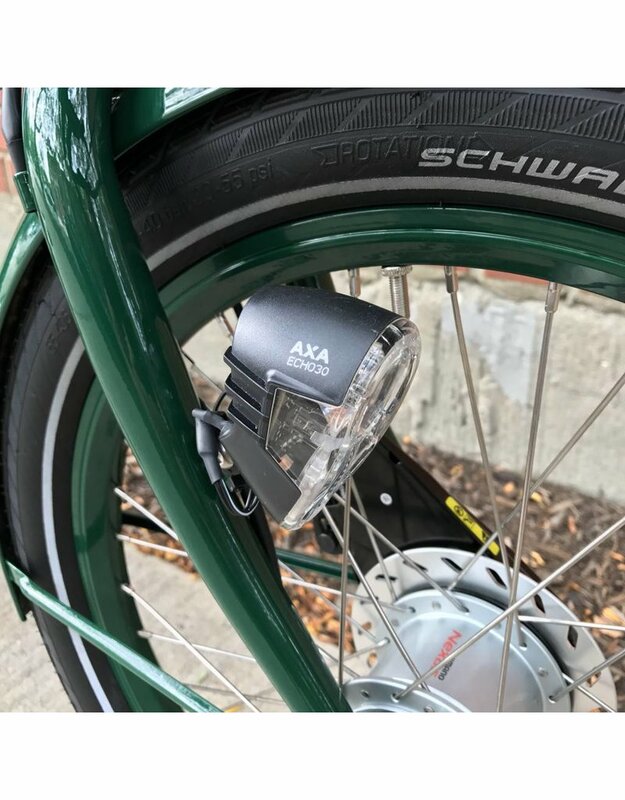 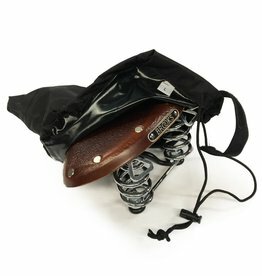 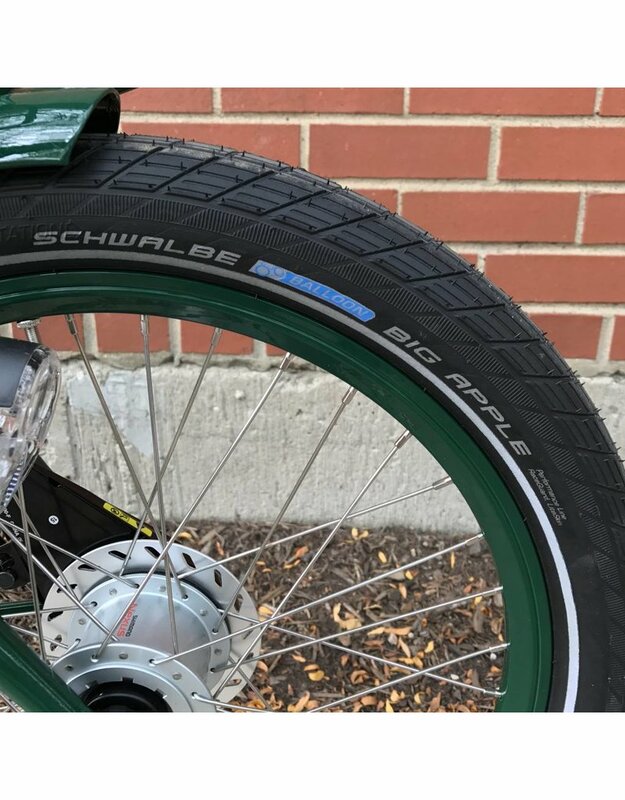 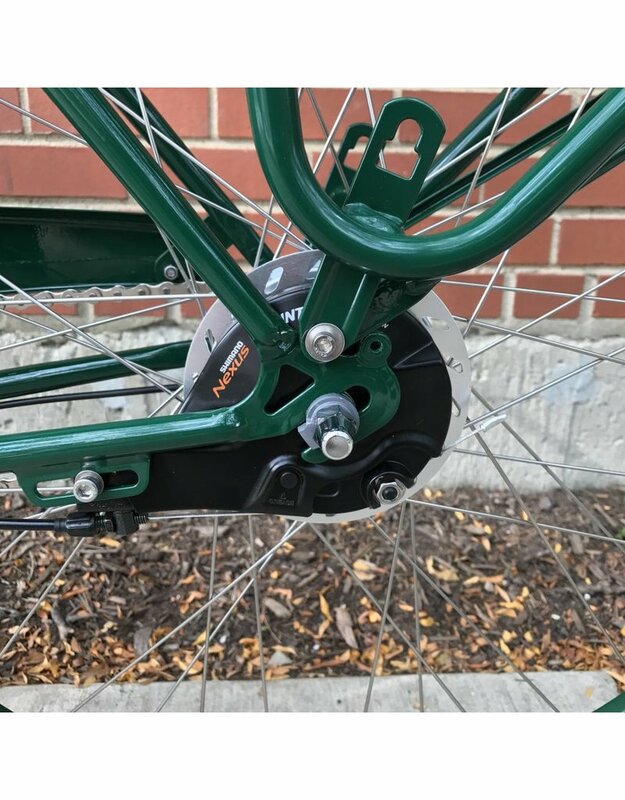 The 20″ wheel in the front opens up plenty of space for the bike’s ample 80 liter front cargo bag and because of the resulting shorter wheelbase, may also help you store the bike easier in your garage or home. 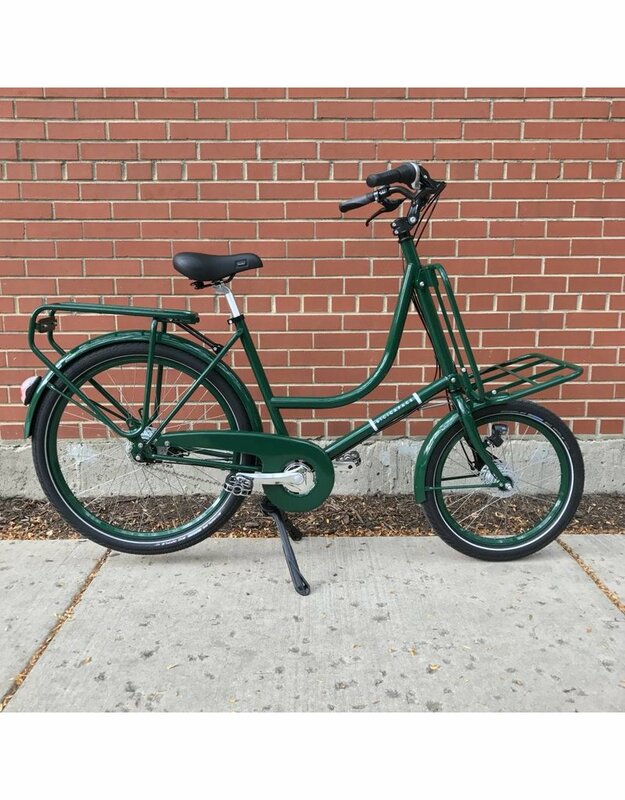 Despite being from southern rather than northern Europe, it still shares most of the same components of our Dutch city bikes: i.e. 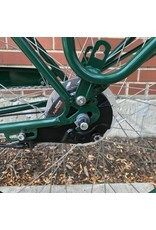 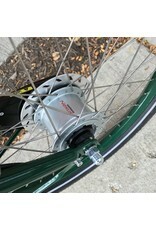 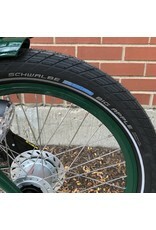 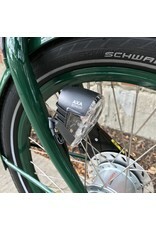 internal gear hub, fenders, roller brakes, durable Schwalbe tires, a chainguard, and dynamo powered lights. 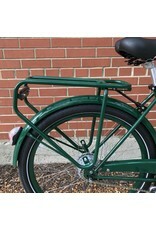 British racing green is the only color option available. 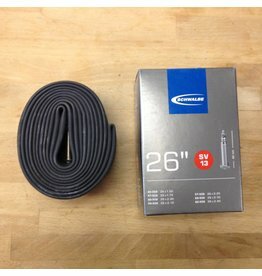 This is a 26x1.5-2.4" tube with a presta valve. 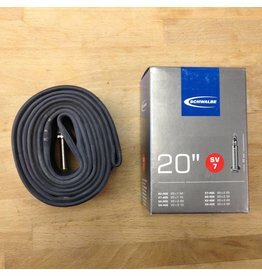 This is a 20x1.5-2" tube with a presta valve.